1. What’s your view on this stock? 2. Should I hold on to this stock? 3. Is this a good price to buy? 4. What is the target price of this stock? 5. Should I exit this stock? The intrinsic value of a company is its actual true value. Its market price can be higher or lower. Obviously, you should consider investing in a stock only when its actual value is lower than its CMP. 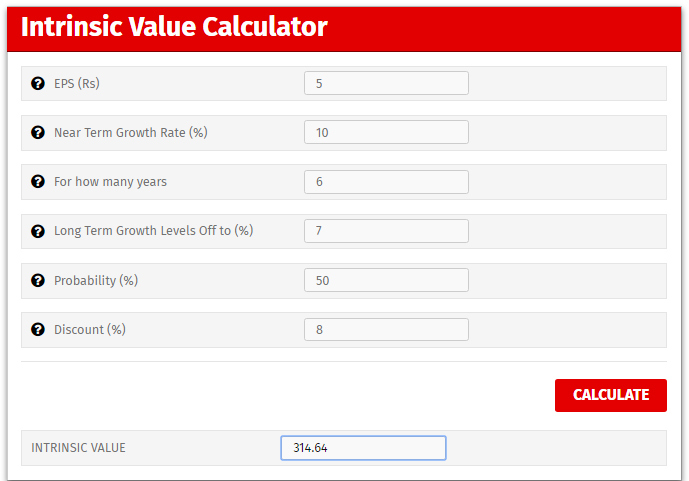 Now here’s a tool that will help you figure out a company’s intrinsic value. Near Term Growth Rate (%): This is based on industry estimates and you can play with different growth scenarios. For how many years: This is your estimate. For how long do you expect the company to grow at the rate you specified in the fiels above. Long Term Growth Levels Off to (%): Typically over the long term, growth winds down to lower than the treasury rate. For example, Infosys after growing for more than 21 years saw its growth tapering off to lower than 7% when the treasury rate, which is now at 7.4%. So your estimate of the long term growth rate should be lower than the treasury rate, which is represented by the last field (Discount) below. Probability (%): What are the chances of your assumptions coming true? You can play with different probabilities. Discount (%): This is the safe rate of interest you can expect from a reputed borrower. For example, GOI bonds fetch 7.4%, Vikas Patras fetch 7.5%, Bank FDs fetch 7%, Corporate NCDs fetch 8%. So you have a range to play around with. Expected EPS of Rs5 this year, a 10% growth rate for 6 years, which tapers down to 7% thereafter.The treasury rate assumed is 8% (Corporate Bonds),and the probability of my assumptions coming true at 50%. This pegs GPPL’s intrinsic value at 314 and the stock is available at 144. Typically, one must consider an investment when the stock is about 50%-60% of Intrinsic Value. Though GPPL is available cheaper, it is still not a buy as you will learn in the second half of the article. Many quality companies make losses because they keep investing in acquisitions or software development (in the case of IT companies). Such companies’ EPS is negative and the Intrinsic Value Calculator cannot be used to calculate its true value. 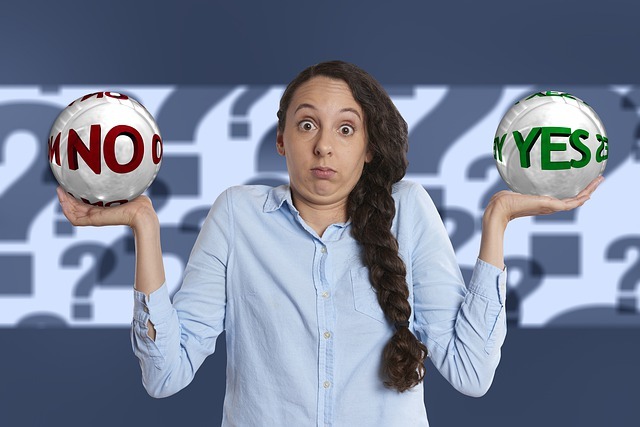 In such cases, you can figure out if the stock is valued right by checking the EV/EBITDA ratio (Enterprise Value (EV) to Earnings Before Interest, Taxes, Depreciation & Amortization (EBITDA)). The EV a company’s market capitalization (+) debt (-) cash. A EV/EBITDA ratio of 10 and below is considered good. Beyond 12-15 the stock can be considered overvalued. You can figure out any stock’s EV:EBITDA at the Stock Axis’ website. 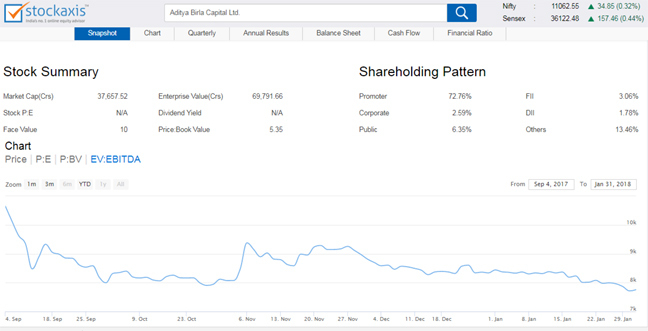 In this example, I have measured AB Cap’s EV/EBITDA ratio which is below 8 and therefore the stock is valued at a decent price. There are many ways that set up a stock’s target price. One method is to estimate current year EPS and multiply it by the industry or peer PE ratio. Another method is to inflate the industry or peer PE by 130%-150% (depending on market buoyancy) and multiply it by current earnings. Alternatively, you can use the calculator on this site – The Target Price Calculator. Though GPPL’s intrinsic value is 314, it’s target price is a mere 120 and it is available at 141. 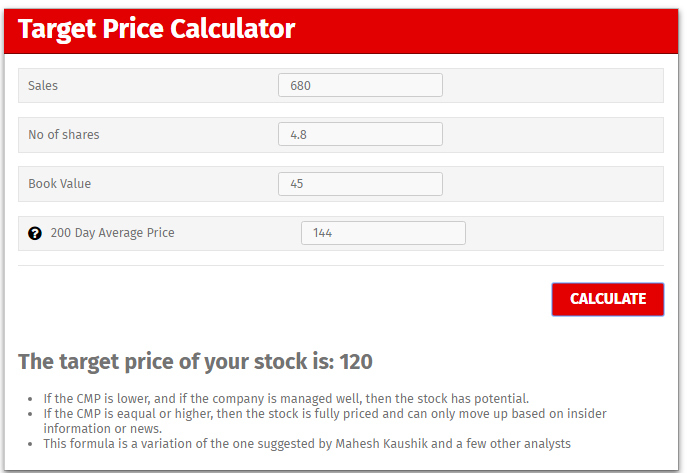 The Target Price Calculator clearly indicates that the stock is overpriced. This will change when it starts reporting better numbers, but for the time being it is an avoid. There are other factors that can upset the calculations above – some examples are insider news, someone taking stake in the company, the company hiving off assets to pay debt, favorable global trends, etc. These are not accounted in the tools above. To factor these in, you must have your ear to the ground. Summing up, these are all the tools you need to figure out if a stock is worth buying, and at what price, and what is its target. It will help you become a self-reliant and confident investor. 11 Comments on "Should I buy this stock? Is it priced right? What is the target price?" I would like to know the values of sales and number of shares in target price calculator. in above example sales value is 680 while no of shares are 4.8, can you please clarify this. Figures in crores. Either enter the full figure or in lakhs or crores. IFCI 26, NatFer 61, Almglob 29 – sir, can i average now? I am planning to hold them longterm. Sorry I’m asking you here! I dont know where else i can reach you. My score .. IFCI 29, Alm Global 32. NFL sold out. IFCI looks good to average as there seems to be seller exhaustion. Almondz Global I would watch because if volumes dwindle, brokerages will not do well. Hi, can you please advice me regarding hdfc bank and tvs srichakra. I mean should I enter at the current price. I understand that sales is 680 crores but not how no. of shares is 4.8. On any website like moneycontol, stockaxis etc, it says ~483 crores. could you please clarify. Also, If you would publish an article on how to evaluate financial companies, it would greatly serve us newbies. Thanks already for so much insight. I have read your post relate to “Lupin FDA Approval 1100ce or 1200ce” I astonished to know is it possible to catch so cheap call option? but it has been true. Sir If you don’t mind can I ask a question can anyone(unaware of fundamental analysis) can buy this type of option? I am eager to learn in details how can I catch these type of option(call/put) please sir please guide me.If necessary then you can send your reply in my email also. I will wail for your answer.